Implementation of reservation for educated disable youth in all appointments at district level. 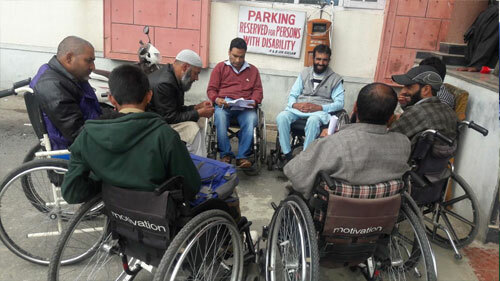 Livelihood for economically poor disable youth, living life with dependence. 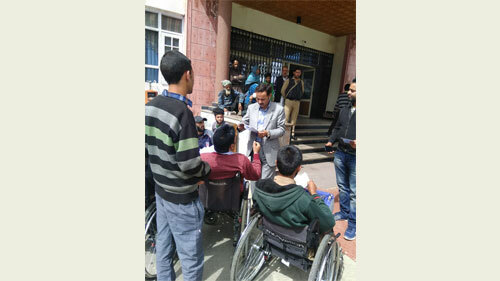 Grant of motorized wheelchairs in favour of spinal cord injured and severe (100%) youth and children with disabilities. 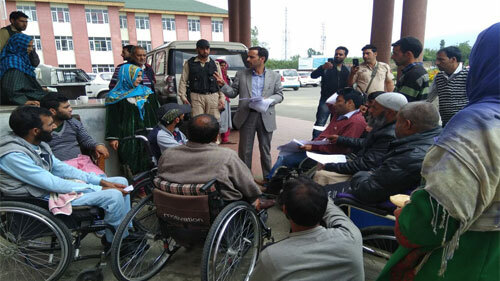 Grant of AAY ration cards in favour of families headed by severe persons with disabilities. 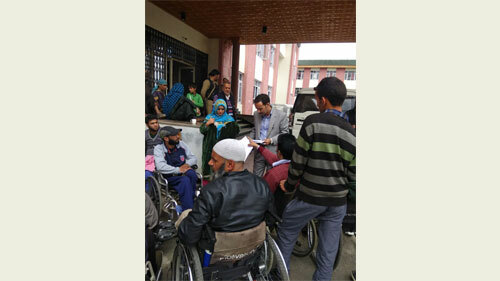 Deputy Commissioner Kulgam Sajad Hussain while giving patient hearing assured that all issues related to the persons with disabilities will be redressed on priority. There will be follow up of the meeting within 10 days in presence of all concern district officers, DC Kulgam added. 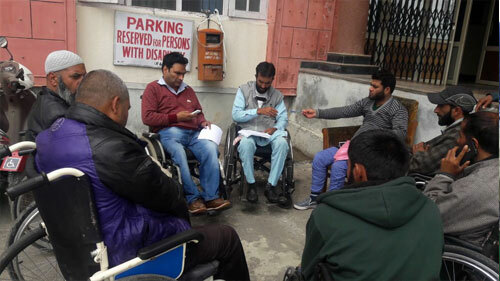 He thanked Chairman Humanity Welfare Organization Helpline Bijbehara, Javed Ahmad Tak, for bringing the sensitive issue of disability in the notice of DC.